Kick back, relax, and enjoy lazy days in the mountain spent "Up to Nut'n" at this 3-bedroom cabin near Gatlinburg with pool access, a game room, hot tub and more! 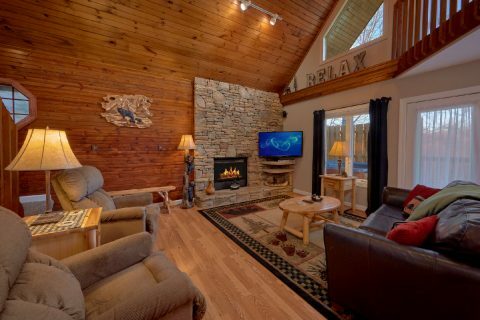 This cabin offers a comfortable interior with features for relaxation and entertainment for your Smoky Mountain getaway. 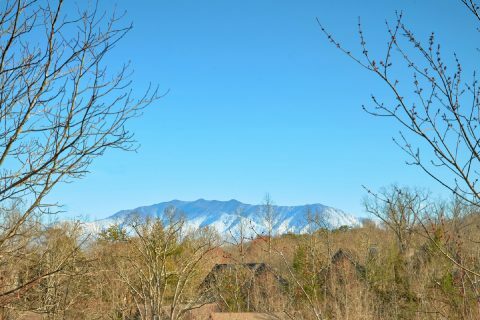 This cabin rests only minutes from the Pigeon Forge Parkway and countless entertainment options for your vacation as well! 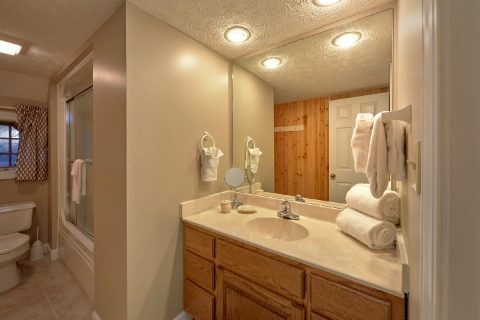 There are plenty of entertainment features at your cabin to keep the fun times coming during your vacation. 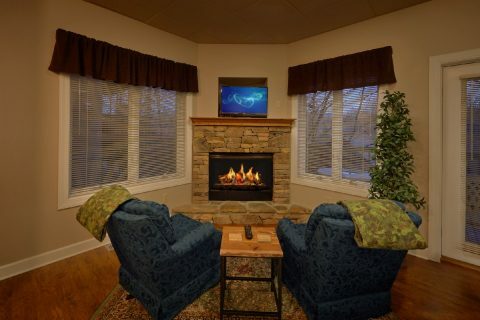 The living room's fireplace provides a cozy spot for a movie night on cold mountain nights in front of the fireplace's warm glow. 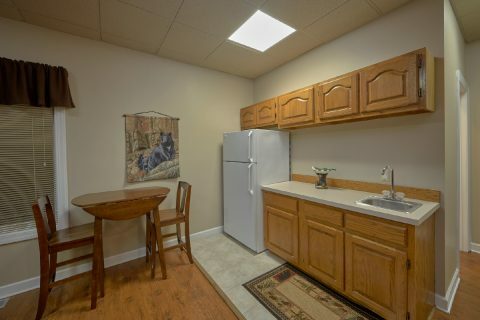 Enjoy a delicious meal with friends and family fresh from your kitchen, the gas grill, or the charcoal park grill. 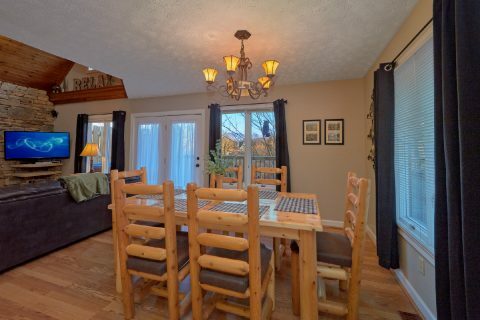 Upstairs, the loft's seating area offers even more space to entertain. 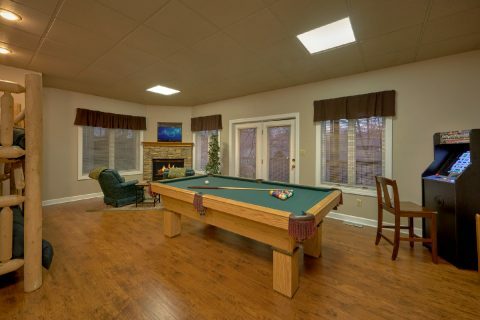 The bottom level's game room provides even more entertainment options for everyone in the family. Everyone will enjoy a game night with the pool table and multi-game stand-up arcade game. 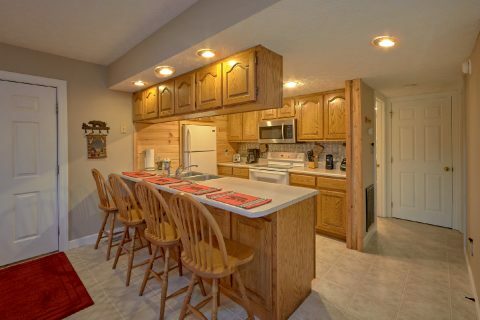 The stone fireplace and kitchenette offer the opportunity to enjoy snacks in front of the fireplace while watching a movie. 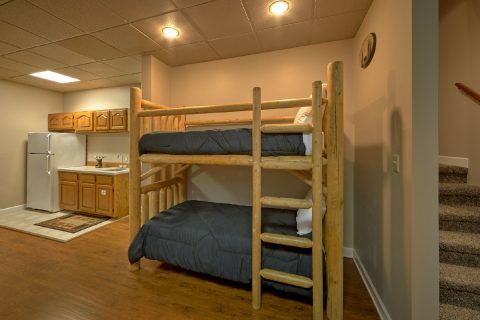 The kids will be fighting over who gets the twin bunk beds in this fun space. 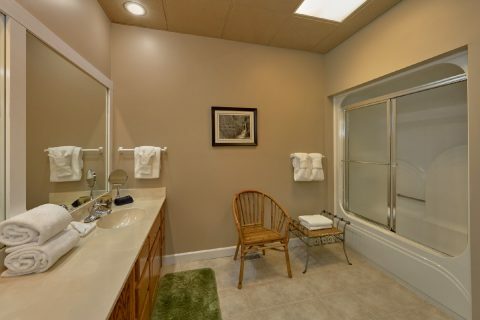 A stay at your cabin also provides access to your resort community's pool in the summer time for days spent cooling off and tanning in the mountains. 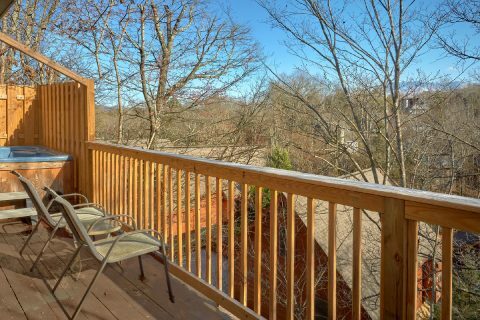 There's also plenty of space to enjoy the great outdoors back at your cabin with 3 levels of decks! 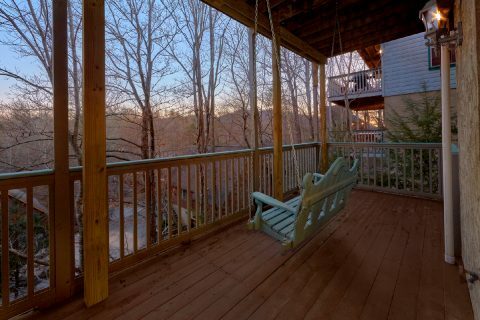 But your cabin doesn't just offer entertainment options - you can get some most needed rest at your cabin as well. 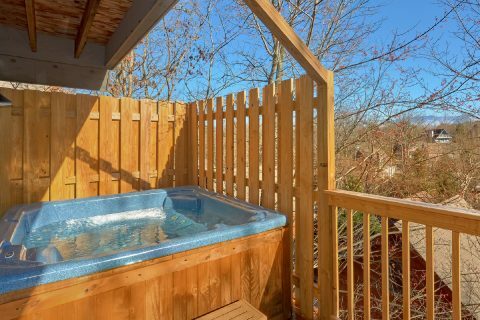 Step out on the deck and relax in the warm waters of your hot tub. 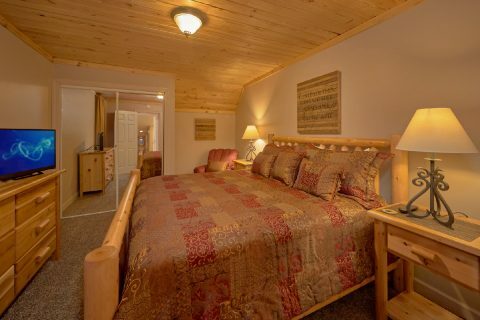 Your cabin's 3 bedrooms offer a chance for a peaceful night's sleep in the mountains for everyone in the group. 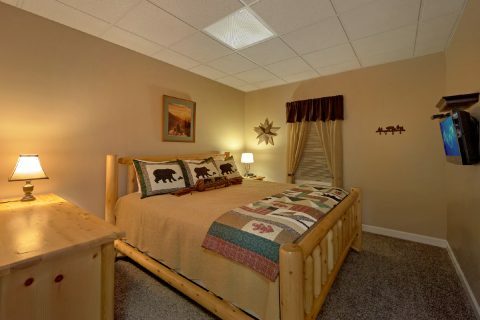 There is one king bedroom is located on the main level and another located on the lower level. 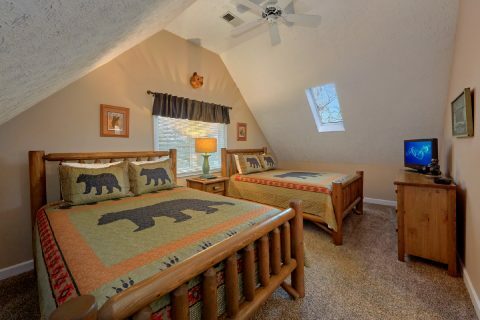 A large queen bedroom is located upstairs in the loft and offers two queen beds. 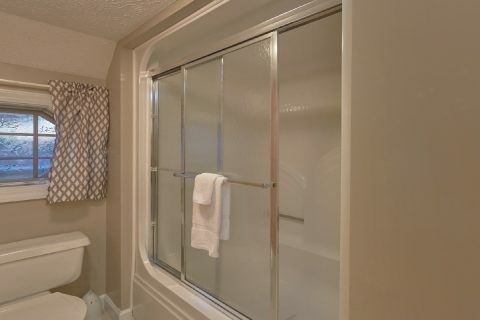 You can also enjoy practical conveniences at your cabin retreat with WiFi internet, washer and dryer, and a driveway with flat parking. 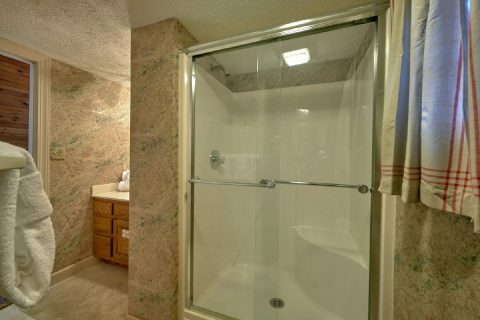 If you need more space for your group, "Up to Nut'n" is just down the road from one of our 5-bedroom cabins "Mountain Time." 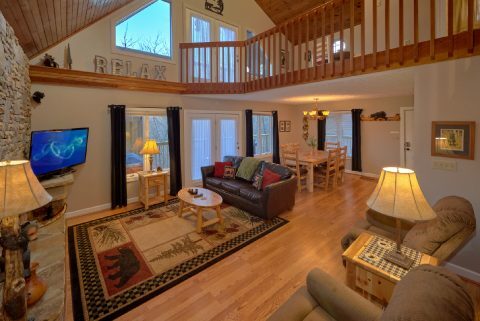 Rent these cabins together for a group vacation to remember. Talk to one of our reservation specialists today for assistance in booking multiple cabins. 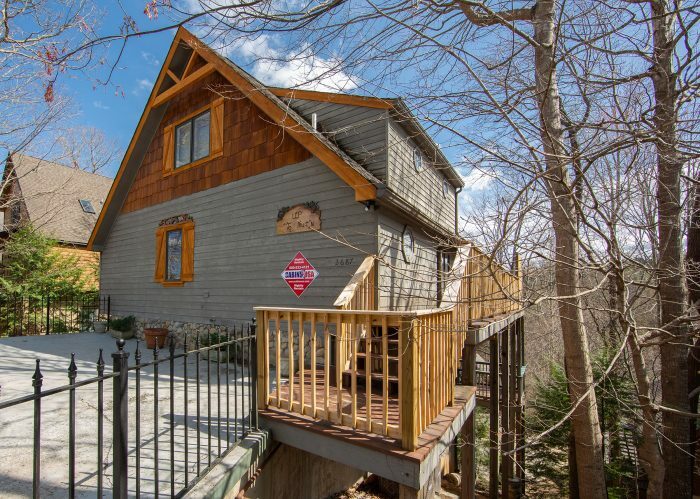 Start planning your vacation to "Up to Nut'n" today and enjoy a 15% discount when you book this 3-bedroom cabin near Gatlinburg with pool access and more today!